If more power is what you need, then look no further than the Milwaukee D-handle line of drills. With 7 amp motors and heat treated metal gears, these are truly the choice of the professional. 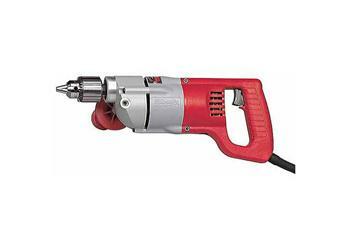 The 1250-1 features 0 to 1000 rpm, for use with smaller bits. Includes drill, chuck key and rubber flex holder.